Cornell University was founded with the signing of its Charter on April 27, 1865. Ezra Cornell and co-founder and first president Andrew D. White, spent the next three years planning, designing, and building their new university. There was a lot to do: electing trustees; securing the land-grant scrip; writing a progressive Plan of Organization (inventing the modern American university’s elective system); hiring faculty; purchasing books for the library and equipment and furnishings for its laboratories, classrooms and living quarters; establishing admissions policies and attracting students. 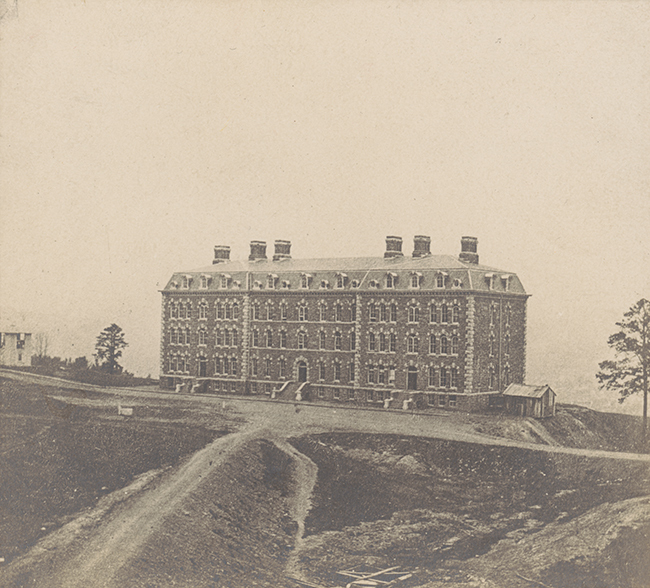 The next morning, the student applicants assembled on the steps of the Library to hear if they had passed their exams, and then the first Cornellians marched up East Hill to the mostly unfinished and unbuilt campus for their first classes.